Dr. James Forsythe introduces options, hope, healing, and recovery in the treatment of all adult cancers. He integrates conventional and complementary cancer treatments to activate both the science and the art of cancer care. 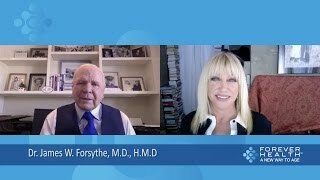 Dr. Forsythe uses fractionated low-dose chemotherapy with insulin-potentiated therapy (IPT) along with non-toxic natural and homeopathic healing. Also in his armamentarium, he includes the genomic testing that introduces a “blue print” for all his cancer patients to follow. This chemo-sensitivity testing on whole blood-circulating tumor cells gives the foundation for the correct chemotherapeutic agents, including vitamins, minerals, herbal, and immune-stimulating therapies to help his patients experience victory over their cancer. 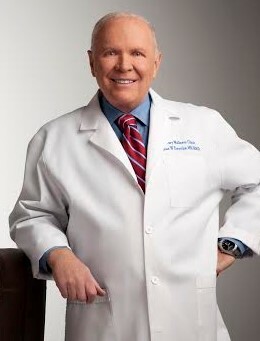 “I believe in the principle that effective cancer care should include many different types of therapeutic support from the intelligent and safe use of chemotherapy to innovative applications of homeopathic remedies, intravenous-delivered nutrients, herbs, dietary measures, and immune-stimulating therapies.” — James W. Forsythe, M.D., H.M.D. Believe it or not, standard of care Oncology does not allow doctors to look at diet, lifestyle and supplementation as possible treatments.